Introducing the first one-stop hair, beauty and retail destination in the region, brought to you by No. 1. Located on the ground floor adjoining Le Bistrot Pierre and The Crescent Inn, No. 1 combines the most desirable and exclusive brands, together with an unparalleled level of experience and service, all under one breathtakingly glamorous roof. For all new clients who book a colour service and cut, we are delighted to offer the cut and blow dry complimentary on their first visit. Please quote "SalonSpy"
training in interpersonal skills would be helpful! Had waxing and lip today, not even a hello or goodbye by the therapist let alone any other conversation, felt she was doing me a favour! wouldn't go again! 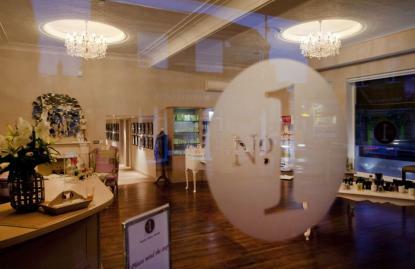 I've had a mix of hair and grooming services at No1 and loved all of them. The stylist Michelle really knew what I was looking for, I'll certainly return. Also got my "eyebrow" waxed here, now I have "eyebrows".